Codeup is the “elite professional school for computer programming,” located in downtown San Antonio, TX. Codeup offers a 4-month bootcamp covering the LAMP stack (Linux/Apache/MySQL/PHP), making it unique in the market. Since launching in January of 2014, Codeup has graduated over 60 students and generated over $2.1 million in tech salaries. No programming experience is needed to apply to Codeup. 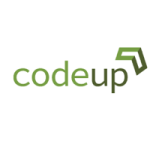 Rather, the program seeks candidates who are “motivated, smart and hireable in every way.” Codeup welcomes out-of-state students and can assist with living arrangements and other logistics. Codeup also supports increasing the number of women in tech and offers two scholarships per session for female applicants only. Admissions are rolling so apply early if interested. Students are assigned about 40-60 hours of pre-work to help get up to speed before the first day of class. Class runs Monday to Friday from 9:00 a.m. to 4:00 p.m. for 16 weeks and generally consists of lectures and interactive assignments. 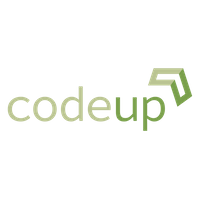 Codeup also offers optional study halls in the mornings and evenings, during which instructors make themselves readily available to students for questions and advice. Throughout the week, guest speakers are invited to Codeup’s “Brown Bag Lunch Series” to talk about their experience as developers and entrepreneurs. The final weeks of the program are spent preparing a capstone project, which is presented to a room full of potential employers on Codeup’s Demo Day. Bootcamp graduates exit the program with a complete, real-world portfolio to show to employers the impact they can make starting from day one on the job. The value of Codeup extends beyond the classroom walls. Codeup’s location within Geekdom—a tech hub in San Antonio which houses over 200 startups—connects students to an extensive and enthusiastic community of techies and entrepreneurs. Students have the opportunity to network with potential employers, many of which have hired Codeup grads in the past. Mentorship and career guidance are central to the Codeup philosophy: each student receives feedback on his/her resume, LinkedIn, and GitHub profiles and undergoes mock interviews with instructors before completing the program. If students aren’t hired within six months of graduation, Codeup will refund 50 percent of their tuition. don't find work within 6 months.